Opening soon at the Rose Library, “A Question of Manhood: African Americans and WWI” commemorates the centennial of the First World War, while celebrating the African American men who served as citizen-soldiers at a time when they were systematically denied full access to the promises democracy. The exhibit explores the challenges and conflicts, as well as the triumphs and successes experienced by the African American regiments as a whole. The corresponding outreach programming is intended to engage the larger Atlanta community, as well as African American Veterans to increases awareness related to the historical meanings associated with military service for African Americans. The exhibit will feature rare photographs of soldiers from the Langmuir collection. 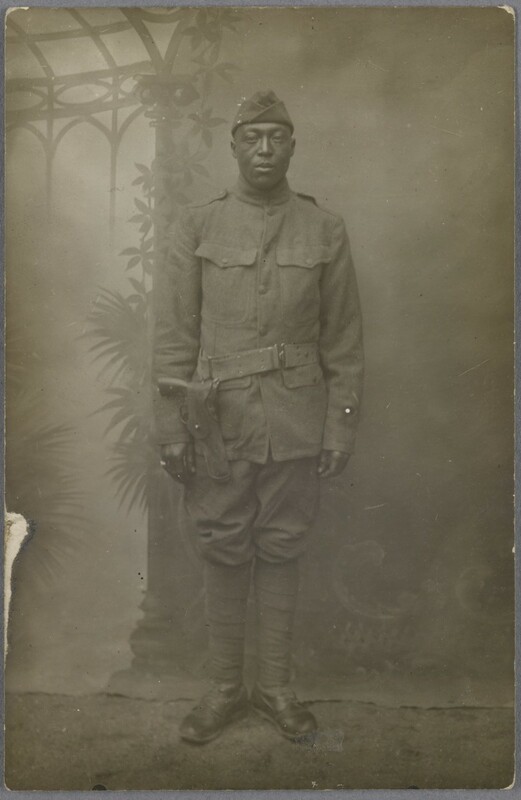 The exhibition is curated by Dr. Pellom McDaniels, III, Rose Library’s Curator for African American History and Culture, who’s most recent book is Porter, Steward, Citizen: An African American’s Memoir of World War I (available from Oxford University Press). Join us on October 16 for the program“Harlem’s Rattlers and the Great War.” Author John Morrow will discuss his 2014 book Harlem’s Rattlers and the Great War: The Undaunted 369th Regiment and the African American Quest for Equality. On display at Rose Library (L10 of Woodruff Library) from October 2017-January 2018.